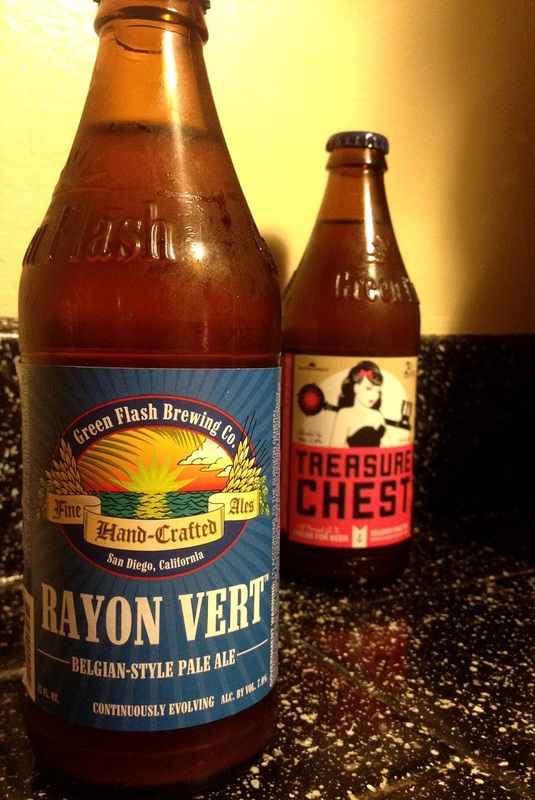 Posted by Jeff Hammett in beer reviews, breweries, farmhouse friday, green flash brewing co. 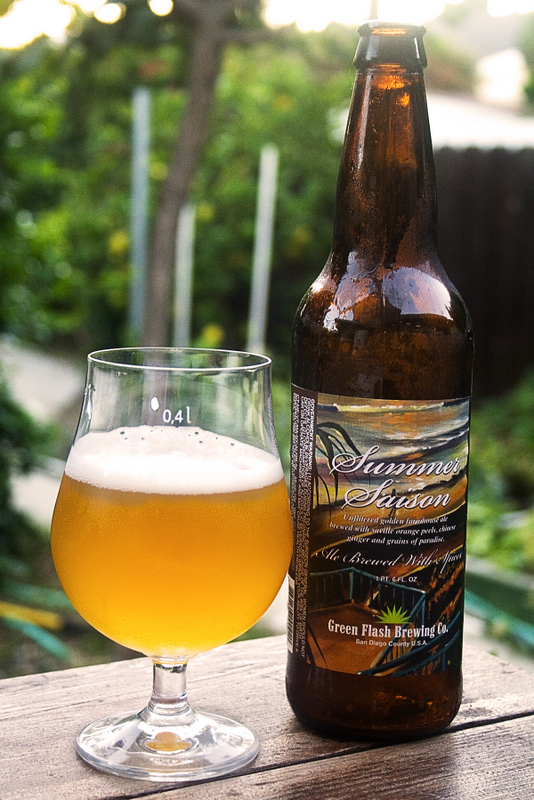 Speaking of Green Flash, I picked up their Summer Saison for this week’s Farmhouse Friday. It’s on the lower end of the ABV spectrum at only 4.3% ABV (and 20 IBU) which makes it a nice sessionable beer for warm summer days. And is a spiced Saison brewed with orange curacao, ginger and grains of paradise that shows excellent restraint when it comes to the amount of spices. They’re in there, that is obvious, but they’re not overwhelming. The first taste is a bit sweet, the ginger is obvious as well as tastes of citrus. The sweetness fades into an earthy spiciness before finishing fairly dry (the finish is much drier than I expected based on the initial sweetness). The finish and aftertaste is fairly rustic and grainy but that doesn’t detract from the beer at all. For those people that base their beer purchases on a cost to ABV ratio this one isn’t the best value at $7 or $8 for a 22oz bottle. But if you’re more worried about the flavor of the beer rather than the alcohol content, this one is a winner, especially when the weather is nice. 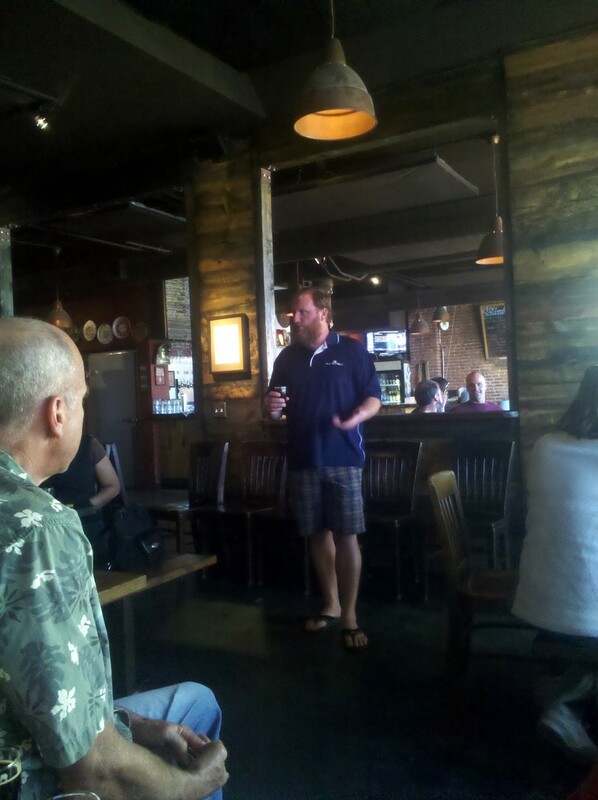 Posted by Jeff Hammett in breweries, events, green flash brewing co.
Green Flash Brewing Co. has been open in their new Mira Mesa location for a little over a month now, but tomorrow (Saturday, July 22nd, 2011) they’re holding their official grand opening from 12-4pm. 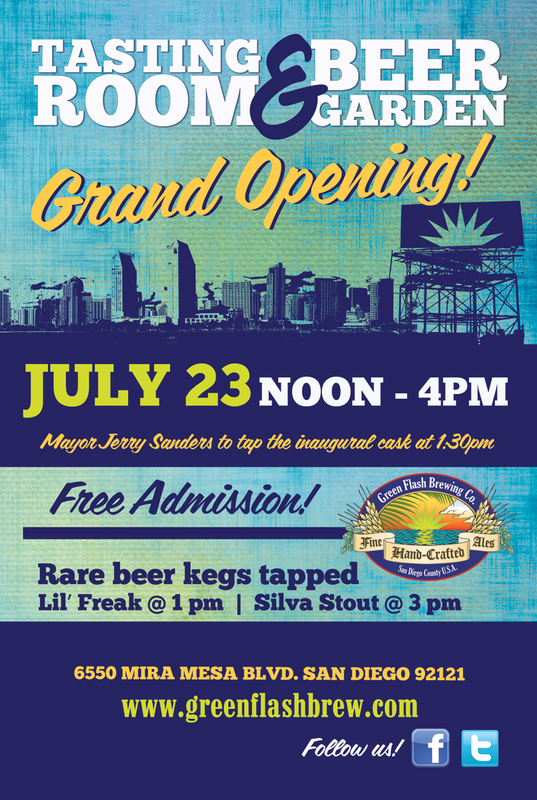 Mayor Jerry Sanders will be on hand to tap the inaugural cask at 1:30pm and in addition to their solid standard lineup they’ll have at least two special beers: Lil’ Freak gets tapped at 1pm and Silva Stout at 3pm. Admission is free, you just have to buy your beers. Green Flash is working with Brew Hop and a few local bars to provide complimentary buses to the event. From what I’ve been told buses will leave from Churchill’s Pub in San Marcos at 11:10am, and 1:20pm with stops to pick more people up at Lumberyard Tavern in Encinitas 35 minutes later before heading on to Green Flash. Buses will also leave from Hamilton’s Tavern at 11:15am and 1pm, stopping at Toronado at 11:45am and 1:30pm and O’Brien’s Pub at 12pm and 1:40pm before heading up to Green Flash. Buses are scheduled to depart Green Flash back to those bars every couple of hours up until about 4-5pm. As always check with the individual bars to confirm times and for more info.